Can’t get taxi insurance? If you’re struggling to get a cheap taxi insurance quote that sufficiently covers your taxi business you’re not alone. At ChoiceQuote we’re regularly approached by taxi drivers who have come up against obstacles during their search for a suitable policy, so we understand how daunting this process can be. But never fear – our experts are on hand to help you navigate the insurance minefield and find your perfect taxi insurance solution. We’ve put together a list of the most common reasons taxi drivers struggle to secure an insurance policy for their business. Think one or more of these factors might apply to you? If you received your taxi badge within the past two years, or have little experience of driving taxi vehicles, you may have faced red tape when attempting to find a taxi insurance policy. Similarly, fleets with inexperienced drivers may struggle to find an insurer willing to protect their team. At ChoiceQuote, we understand that you have to start somewhere and we’re always happy to talk about covering a novice taxi driver. Although quotes for new drivers are often higher than those of their experienced counterparts, annual policies mean you’ll see yearly reductions in your premiums, so it won’t be long before you see your efforts paying off. As with personal motor insurance, taxi insurance quotes take into account your age when calculating your monthly payments, but some insurers won’t accept drivers under a certain age. At ChoiceQuote, we’re happy to provide taxi insurance policies to over-18s and guarantee competitive quotes that could transform the prospect of driving taxis for a living from dream to reality. It’s worth noting that if you require insurance for three or more taxis you will need taxi fleet insurance rather than traditional taxi insurance, and in most cases this will not affect the minimum insurance age. However, if you rent vehicles to your drivers you will need taxi self-drive hire, which requires that all drivers must be over the age of 25. Confused? That’s what our team of experts are here for. Give us a call for more advice on 01625 885 046. Some insurance companies separate public and private taxi insurance, while others simply specialise in one or the other. If you’ve struggled to get insurance in the past you may have approached an insurer who was unable to help with the type of taxi service you want to provide. 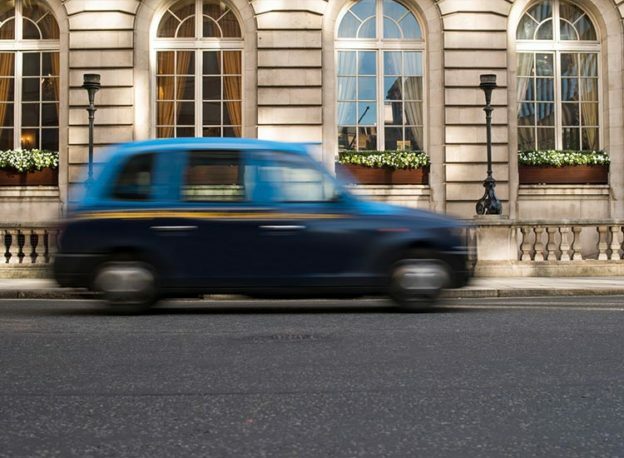 When working out what type of taxi service you will offer, remember that public hire taxis can be hailed from the street or hired from a taxi rank, while private taxis (including Uber) have to be booked in advance. ChoiceQuote provides cover for both private and public taxi drivers via our single taxi insurance policy, removing any unnecessary complexity from getting a cheap taxi insurance quote. If you haven’t found an insurer who will insure multiple vehicles, it may be that you need to consider taxi fleet insurance. Unlike general taxi insurance, fleet insurance can provide monthly or annual policies for three or more vehicles, whether you’re providing public hire, private hire or a combination of the two. ChoiceQuote’s taxi fleet insurance also provides flexible cover for varying types of fleet. Whether your staff members drive their own vehicles or you offer drivers the option of renting from your fleet, there’s no reason to get stuck if you can’t get taxi insurance. We’re here to provide cover that protects your whole team. If you’re attempting to find a taxi insurance policy that’s suitable for an MPV or other large vehicles, you may have been turned away. Some insurers require MPV drivers to take out specific larger vehicles insurance, while many others charge excessive premiums. The easiest solution to this problem is to find an insurer willing to provide protection for these larger vehicles without issuing inflated quotes. ChoiceQuote, for example, is happy to insure MPVs with space for up to eight passengers before beginning to classify cars as minibuses or coaches, so you can benefit from a more adaptable vehicle without paying excessive prices. If your vehicle regularly carries more than eight, this might be the reason you can’t get taxi insurance. You might be better off looking at our minibus insurance. Understanding the type of coverage you need is an important step in selecting the right cheap taxi insurance for your business, without leaving your business open to risk. By identifying any factors that might be preventing you from accessing the best taxi insurance quotes, you can confidently research the market and find a specialist provider that really understands you and your business. If you’re still unsure about why you can’t get taxi insurance, or you’d like to talk to an expert about your circumstances, call ChoiceQuote today on 01625 885 046 or fill in our quick online form to receive a quote.